The Internet of Moving Things is here. From smartphones and tablets to smart clothing and wearables, mCube is enabling a new era called ‘The Internet of Moving Things’ where everyday objects and devices can measure, monitor, and analyze motion and context in space, generating massive amounts of data and insight. As the provider of the Internet of Moving Things, mCube aspires to put a MEMS motion sensor on anything that moves, making it easy to connect everyday things and transform the way consumers live and businesses operate. By 2020, analysts predict that more than 50 billion devices will be connected to the Internet and a large percentage of those devices will be in motion. mCube has developed a unique monolithic single-chip MEMS design approach allowing for extremely cost-effective, high-performance motion sensors. Virtually any item in motion can benefit from mCube’s tiny motion sensors. With the mCube approach, the MEMS sensors are fabricated directly on top of the IC electronics in a standard CMOS fabrication facility. Advantages of this monolithic approach include smaller size, higher performance, lower cost, and the ability to integrate multiple sensors onto a single chip. 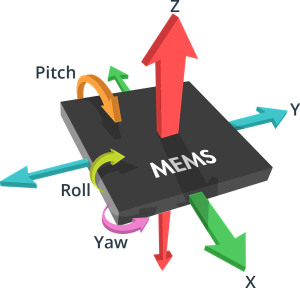 Because mCube MEMS sensors are easily integrated with ICs onto a single die using standard CMOS processes, they are simple to manufacture and easy to design into a broad range of applications.